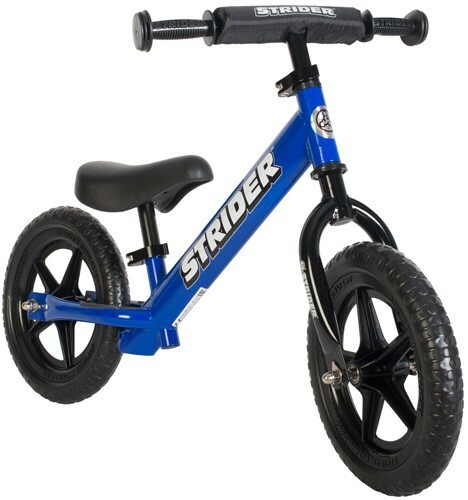 If your toddler can walk, your toddler can ride a Strider balance bike. 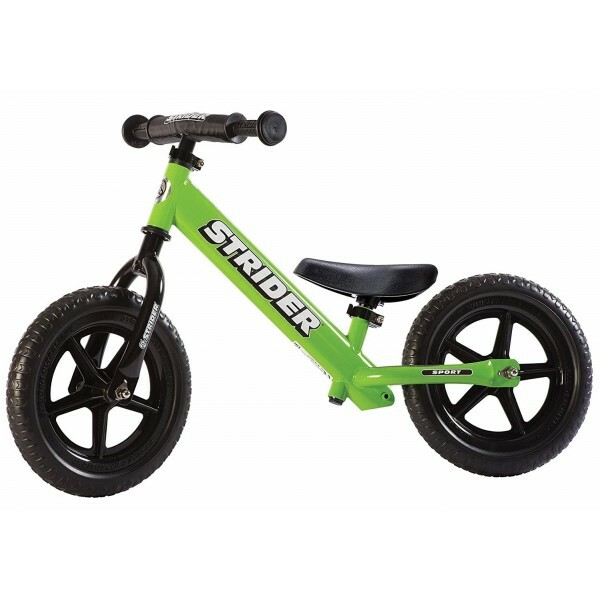 The Strider 12 SPORT teaches your child balance and coordination, developing glittering confidence. 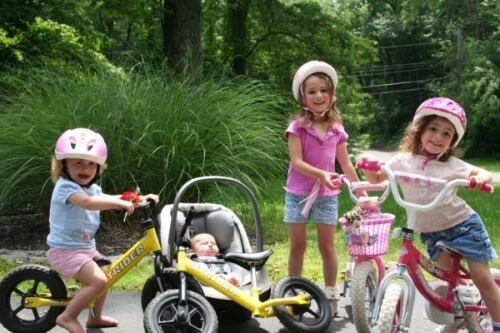 Traditional bicycles place too much focus on learning to pedal -- skimping on developing your child's motor skills. 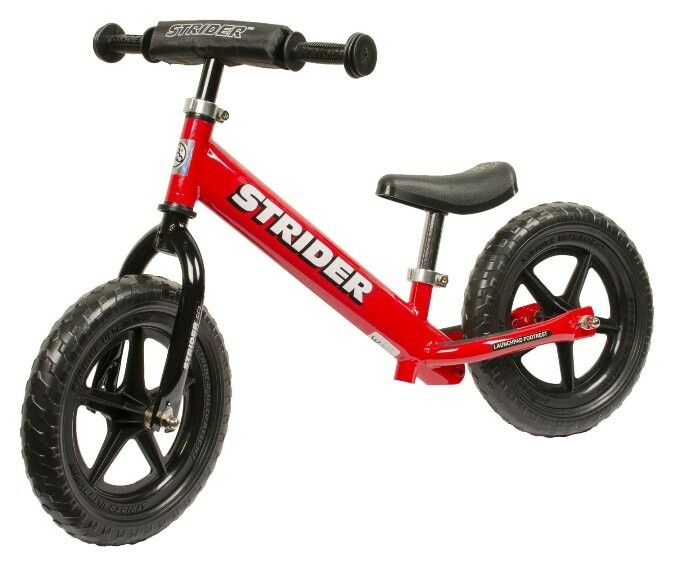 With NO pedals and NO training wheels, your toddler powers the Strider using their feet safely on the ground, allowing them to learn to balance a bike at their own pace. 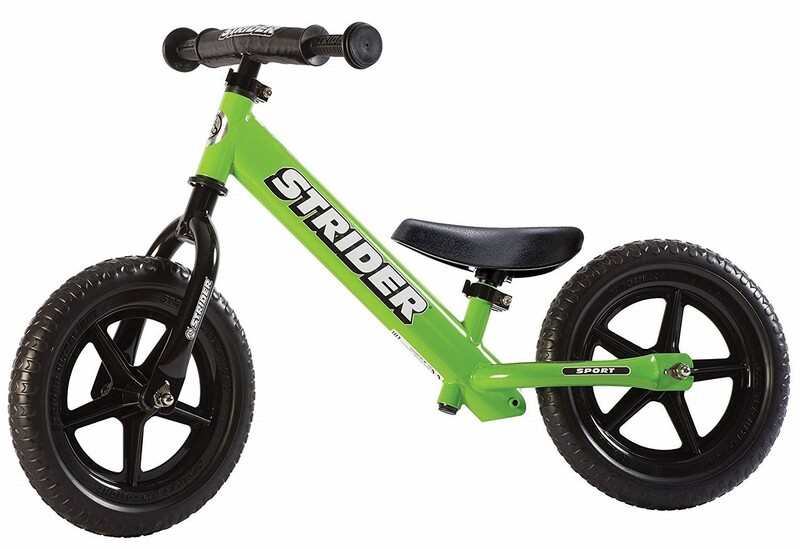 The SPORT version of the Strider balance bike comes with a mini-seat for toddlers, plus a padded seat and extra-long seatpost for preschoolers, so kids aged 18 months to 5 years can get plenty of use! 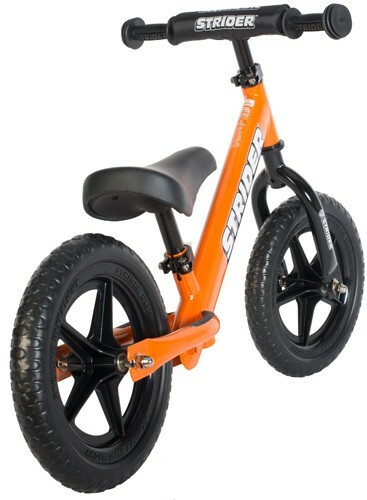 It's available in a rainbow of colors.